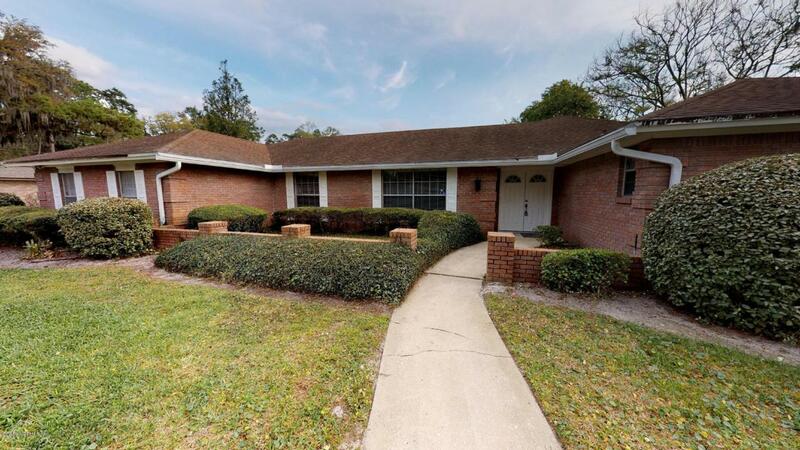 **AVAILABLE NOW**Beautiful home in the heart of Mandarin! This 4 bedroom, 3 bathroom home has just under 3,000 sq. ft. of living space. This home has beautiful tile and laminate wood flooring throughout. Separate formal dining room, living room and family room with brick fireplace and vaulted ceiling. The kitchen is absolutely beautiful - white cabinetry, granite countertops and black appliances. Beautifully remodeled bathrooms with new vanities, large walk-in tiled shower in the master bathroom and tile bath in the guest bathrooms. This home has a large backyard! Washer/dryer connections. Lawncare is tenants responsibility. This home is a must see! !Pets are welcomed with a $300 non-refundable pet fee. Listing courtesy of Nest Finders Real Estate.